Join the SITES Faculty program. Our SITES Faculty program recognizes the most experienced practitioners with subject matter expertise. SITES Faculty members would get opportunities to deliver high-caliber, in-person training workshops. Are you an expert? You fit right here! Serve on the SITES speakers bureau. Do you have experience speaking about and presenting on SITES? The SITES speakers bureau is a bench of speakers we call upon for any speaking engagement requests that come in. Become an Education Partner for SITES. Our Education Partners provide best-in-class education and are leaders in, and trusted voices on, SITES and sustainability. This program is available for all organizations creating SITES-specific content. 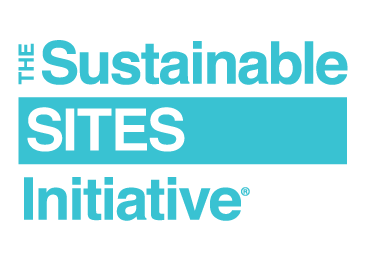 Our Education @USGBC platform will highlight and promote our partners’ education as the go-to solution for those looking to build their SITES knowledge. Education Partners are typically organizations. However, we encourage individuals to engage as well. Please contact us about opportunities and contribute to worldwide sustainability efforts. If you would like to become involved in any of these opportunities, please fill out our expression of interest form. We will respond within five business days, giving you further details and asking you any questions we may have, as well as giving you the chance to ask questions of us.